How Will Lady Gaga Top A Meat Dress At The 2011 VMAs? In only two years, Lady Gaga has become the face of the MTV Video Music Awards, and on Sunday at 9/8c, she will continue to cement her place as a VMA icon. Mother Monster will be opening this year’s big show, and viewers are sure to be both wowed and inspired. MTV announced today the triumphant return of Beyoncé to the VMA stage at the “2011 MTV Video Music Awards” for what promises to be the latest addition to her extraordinary list of unforgettable VMA performances. Nominated for three Moonmen this year including “Best Female Video,” “Best Choreography” and “Best Cinematography,” Beyoncé will add to her remarkable music legacy with a performance for the ages. Additionally, Will Ferrell, Jack Black, Zoe Saldana, Kevin Hart and Victoria Justice join Jonah Hill, Rick Ross, Seth Rogen, Selena Gomez, Kim Kardashian, Odd Future, Nicki Minaj, Taylor Lautner, Drake, Joe Jonas, Jared Leto, and JB Smoove from HBO’s “Curb Your Enthusiasm” as confirmed presenters. 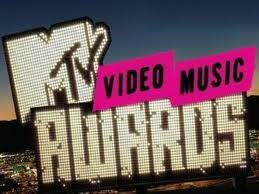 Jessie J was also announced as VMA house artist. The “2011 MTV Video Music Awards” will air live from Nokia Theater L.A. Live in Los Angeles on Sunday, August 28, 2011 at 9PM (Live ET/Tape delayed PT). 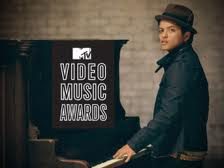 Bruno Mars could have a very big night at the MTV Video Music Awards. Not only is he up for Video of the Year for “Grenade,” he’s also joining the star-studded roster of performers and presenters on the big show.